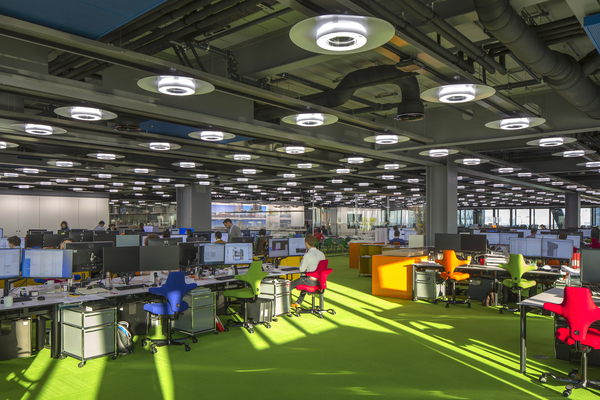 Architects Rogers Stirk Harbour + Partners are located in the award-winning Leadenhall Building. 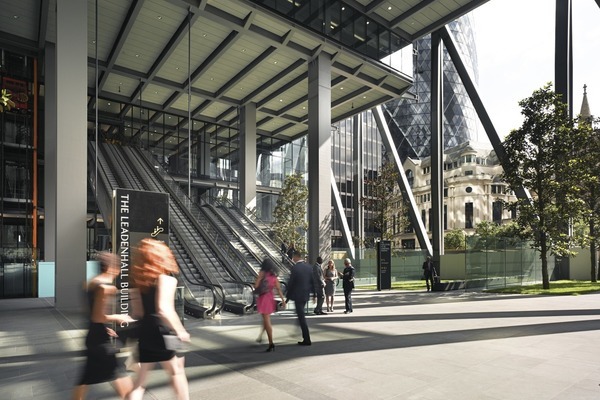 This 51-storey tower opposite Lloyd’s of London rises to a height of 225 metres (738 feet), its slender form creating its own distinctive profile within an emerging cluster of tall buildings in this part of the City of London. 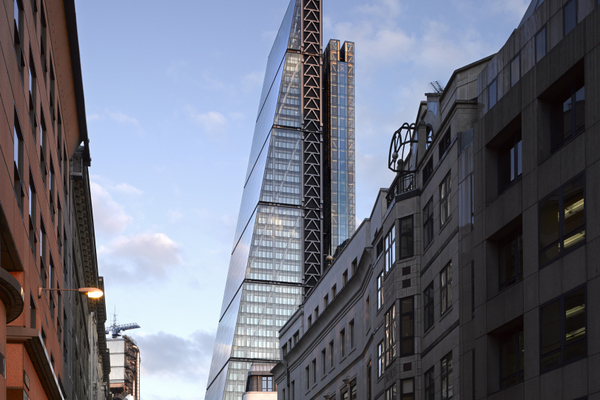 The building’s tapering profile is prompted by a requirement to respect views of St Paul’s Cathedral, in particular from Fleet Street. The tower’s design ensures that from this key vantage point the cathedral’s dome is still framed by a clear expanse of sky. The building’s envelope expresses the diversity of what it encloses, reinforcing the composition and providing legibility to the primary elements. Although the tower occupies the entire site, the scheme delivers an unprecedented allocation of public space – the lower levels are recessed on a raking diagonal to create a spectacular, sun-lit seven storey high space complete with shops, and soft landscaped public space.